You can see from the quote, why I’d have a farmer crush on this guy. In 2008, three years before we purchased the property that has become Middleground Farms, I devoured a book called YOU CAN FARM: The entrepreneur’s Guide to Start and $ucceed in a Farming Enterprise. 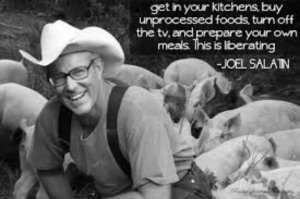 It was written by farmer Joel Salatin of Polyface Farms, to show people how a person can raise organic food, with the utmost respect for the land and the animals, and make a profit. The opening line to the book is “Do you have a dream of living on a farm?” and when I read that I knew he was writing to me. Since his books have sold over 80,000 copies, I guess I wasn’t the only one. 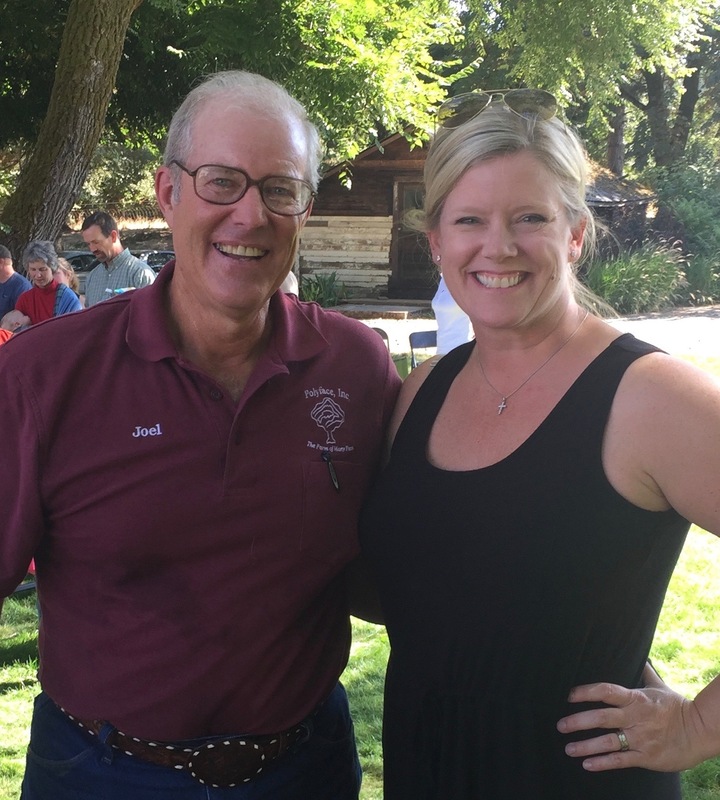 Over labor day weekend, the team from The Kitchen at Middleground Farms got to spend the day with Joel as he continued his evangelism about the successes available to farmers when they are left alone to do what is right. Charlotte and her family at Champoeg Creamery hosted the event, a benefit for the Farm to Consumer Legal Defense Fund, and we were lucky enough to feed the collection of farmers with produce from our farm, tomatoes from seed genius Evan Gregoire of Portland Seedhouse, and grass fed beef from Champoeg Creamery. It was an inspirational day for all of us. We were thrilled to be a part of it!